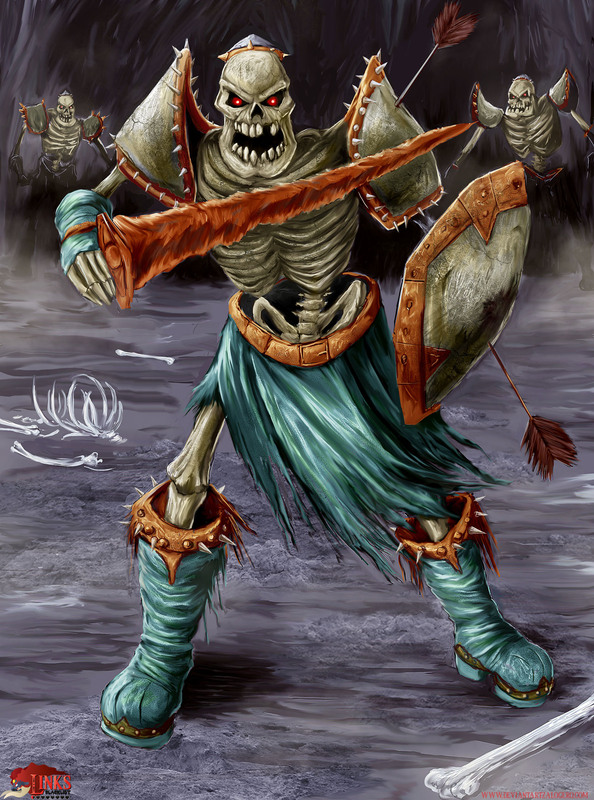 The Stalfos are recurring enemies of the Legend of Zelda series, and of course they were back in Ocarina of Time too! ZaloHero from Mexico is one of the around 20 artists who drew their first Link’s Blacklist submission in Round III (June-August 2013) and he did a great job with his take on the Stalfos from OoT! “Hello, this is my proposal to Link’s Blacklist Round III project. Did you remember the Stalfos from OoT? those pesky enemies that always come in groups were tedious because when you killed one and entertain a lot the other is regenerate. 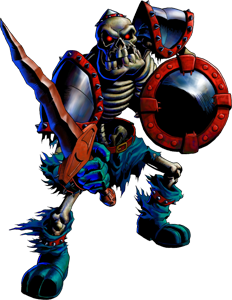 The Stalfos are enemies in almost all Zelda games, but often they are not using any weapons beside their own bodies and bones to attack Link. In Zelda Ocarina of Time and also Twilight Princessthey behave more intelligent and also have weapons like Swords and Shields now and are sometimes Mid-Bosses. There is a Kokiri who tells Link the slighty scary story that a Stalfos is the result of what happens if someone gets lost in the Lost Wood..